Provide comfort for the family of Shirley Purdie with a meaningful gesture of sympathy. 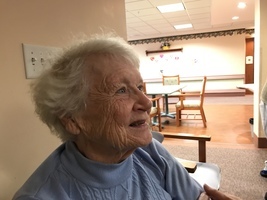 Passed peacefully into the presence of Jesus, her Lord and Saviour, on Sunday, March 24, 2019 at the age of 88. Beloved wife of Pastor Jack Purdie for 67 years. Loving mother of Murray (Sue), Danay (Dean), and Colleen (Shawn). Fondly remembered by her 7 grandchildren and 5 great grandchildren. 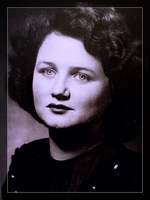 Survived by her sister, Gilda Hannah, and predeceased by her brother, Jim Gordon. From her early days as an Alberta farm girl she ventured out to a life of ministering in multiple churches with her dear husband, helping and loving people wherever she went. 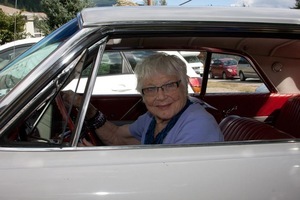 She spent the last half of her life in BC, living in Ladner, Squamish and retiring to Vancouver. 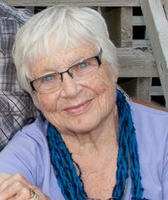 Her latter years of service focussed on strengthening churches, and marriages, and being a grandma at Camp Qwanoes. All who knew her will remember her sparkling blue eyes and big hugs. Memorial service at Faith Fellowship Baptist Church Tuesday April 2, 2pm. In lieu of flowers, donations may be made in her honour to Camp Qwanoes. Provide comfort for the family of Shirley Beatrice Purdie by sending flowers.